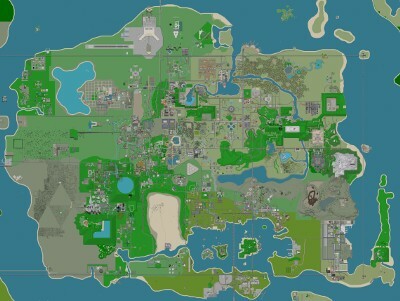 SW Island is a large rocky island; the largest island in SW City as well as the largest island in all of Alphaworld. It houses most of SW City's government structures (such as city hall) and other important civil buildings. Town Square Park, SW City's landing point and busiest area is located near the center of the island.